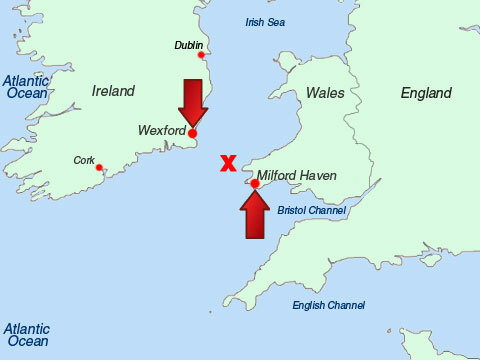 Heading from Wales to Ireland for the start of the 2013 Round Ireland Challenge, the solo occupant of the 5 metre RIB ‘Merlin’ was ejected into the water 18 miles off St Ann’s Head in the Irish Sea. This presentation recounts lessons learned from the man over board’s perspective. Andy Proudfoot describes himself as a boating ‘Fan’. When not producing live music events around the globe, power boating is his escape, and specifically RHIBs and Inflatables. Based in the north east of England, he has always been keen on big adventures in small boats, whether in the Western Isles of Scotland, Ireland, the coast of California, or the San Juan Islands in the Pacific North West. He was a participant in the 2013 Round Ireland RIB Challenge. When not working or on the water, he writes articles for Powerboat and RIB magazine. Andy has shared his thoughts on what PPE and safety equipment worked, what could be improved and what he learned from his survival in this excellent summary.